Welcome to Zero Privacy: Season 2! An interactive reality gameshow made in the Sims 4, in the style of the North American version of the real gameshow Big Brother! The show is an interactive reality gameshow, which is like a story mixed with forum based / real life roleplaying. I act as the host of the show and create the story in the form of episodes, as well as set up the challenges, nominations and voting from the real life contestants. 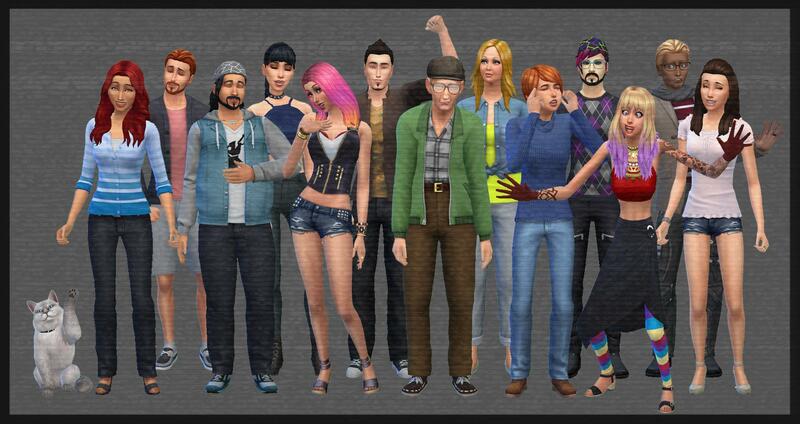 The contestants each submit a sim in which they would like to be in the show. If you win a challenge, your sim wins a challenge! If you vote for Bob, your sim will vote for Bob! When a real life player is eliminated, their sim is eliminated too. The forum game dictates the story! 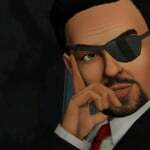 The game follows the Big Brother US style of game. Ten strangers will enter a house with no connection to the outside world, in hopes to be the last player standing to win 1,000,000 simoleons! Each week they will compete for power and by the end of the week there will be two nominees for eviction. One contestant will be evicted each week by a vote from the house until only one is left standing to take home the prize! The Head of Household, known also as the HoH, is the ultimate power won at the start of each week. The HoH will be decided by a challenge that the real life contestants will compete in. Once a HoH is crowned, the HoH will nominate two sims for eviction and is in charge of making any replacement nominees in the case that one of the two original nominees gets taken down via the PoP. The HoH will also cast the final verdict in the case of any tie breaker vote. The Power of Plumbob, also known as the PoP, is the secondary power of the week. The PoP will be decided by a challenge that the real life contestants will compete in. The PoP will be played by the HoH, the two nominees and 3 other random contestants, totally to 6 players all up. The winner of the PoP can use their power to save one of the nominees from eviction. Alternatively, they can not use the PoP. Either way, the PoP winner is immune, as well as whoever they choose to use their power on (unless the PoP user is also a nominee, in which the winner is NOT automatically immune). The HoH will have to choose a replacement nominee if the PoP is used. This season, we've scrapped the Immunity Challenge from Season 1. This season secrets are hidden through the Zero Privacy House! These secret powers will only be revealed to those who find them. This season is full of secrets which may or may not affect how the game is played! 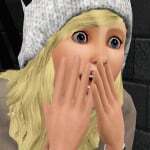 When you find a secret, a power or punishment will come to you, to your sim or to those around you! Good luck! Each week, after the HoH and PoP competitions, two nominated sims will face eviction. Their fate rests in their fellow player's hands. All Non-Nominated contestants (except the HoH) will vote on who they want to leave the game. The highest voted nominee will be evicted from the house and eliminated from the competition. This will continue until the final 3 contestants are left. Once there are only two sims left, there will be a jury vote from ALL eliminated contestants on who they wish to be crowned the winner; The person who played the best game socially, strategically and competitively. The person with the most votes from the jury will win the $1,000,000 simoleon grand prize! The house will be fitted with a Diary Room in which you can speak in the eyes of your sims about the game, other players or about events in the house which will appear in the episodes of the show! These are stuff written by you to be shown in the episodes! Simply send an email to me, or a private message with what you'd like your sim to say in the Diary Room. You have free reign over what your sim says and does but please do not make them over the top, offensive to real life players or the show, or feature controlling or "god-modding" of other people's sims. Below you will find the application form in which you will need to PM me or email me (whichever you prefer and check most often)(Please ask for email if you do not have it). This application form will contain information on your submitted sims. 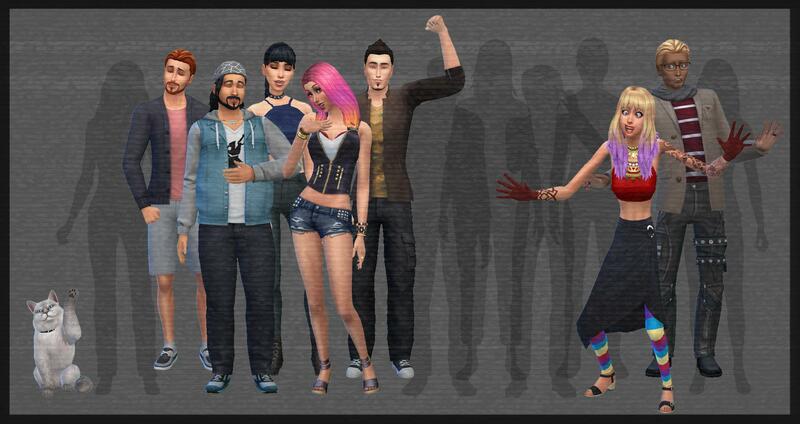 To ensure your sims are unique and allow the house to have a lot of diversity of characters, you will need to submit 2-3 sims, however only 1 will make it onto the show. [*] Your 2-3 contestants must contain at least 1 male and 1 female options. If one of your sims is neither male nor female, you will still be required to submit at least 1 male and 1 female option. [*] Must not contain items from the following game packs: Parenthood, Vampires or Dine Out. [*] Must not contain items from the following stuff packs: Laundry Day Stuff, Toddler Stuff, Fitness Stuff, Bowling Night Stuff, Vintage Glamour Stuff, Backyard Stuff, Kids Room Stuff, Romantic Garden Stuff or Movie Hangout Stuff. 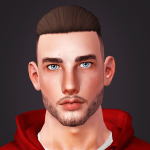 [*] Must not be a simself, premade sim such as Bella Goth, or a real life character or celebrity. This is just to ensure that the sim portrayed is not incorrectly characterised or offensive to others or yourself, nor is copying other's property. [*] Must be a young adult or older! I encourage creativity! (Within reason of course, HEHE!) For example, if you know anyone else who is signing up, perhaps a secret family member duo could join, or long lost friends, perhaps you could create mortal enemies who happen to be cast together. Think creatively! Think different! Final Nominees - ??? and ??? Alright It's just about ready! I just need to make the applications! And we're off! This may sound like a silly question, But I don't understand the hashtag part. 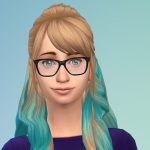 First time I've uploaded a contestant using TS4, I didn't see an option to add a hashtag or anything. Is there something I'm doing wrong? @Twiddle you add it in the household description section! Ah, I see. So I just put something like #flibbleflobble in the description and it will show up when Haylo searches for it? Thank you Choco. That hashtag thingy had me puzzled for a second (Which isn't difficult) but I think I'd have been a bit lost without help. This is why I don't use social media, I have to have my much more tech savvy partner set everything up for me. 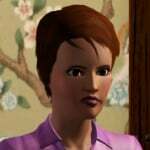 I spend more time on sims forums/UM than I do on social media. Is that weird? I don't think so, But then again some people find it weird that my 87-year-old Grandmother is more social media-minded than me. She Instagrams what she bakes, She has Facebook and Twitter, She makes Youtube videos so she's off and running. I can't even get off the starting line. Wow! That's so cool! Your grandma is so different from mine. My grandma couldn't even be bothered to touch the keyboard. It's great that your grandma is still out and about. And I don't think I have it in me to directly nominate people to get evicted. I'll keep up in the sidelines, though. Apps sent, There's 4 of them for you to choose from Haylo. Hope you like them.